It's the day after tomorrow and the Arctic sea ice has melted. While global business carves up the new frontier, cruise ships race each other to ever-rarer wildlife sightings. The passengers of the Vanir have come seeking a polar bear. What they find is even more astonishing: a dead body. It is Tom Harding, lost in an accident three years ago and now revealed by the melting ice of Midgard glacier. Tom had come to Midgard to help launch the new venture of his best friend of thirty years, Sean Cawson, a man whose business relies on discretion and powerful connections - and who was the last person to see him alive. Their friendship had been forged by a shared obsession with Arctic exploration. And although Tom's need to save the world often clashed with Sean's desire to conquer it, Sean has always believed that underneath it all, they shared the same goals. But as the inquest into Tom's death begins, the choices made by both men - in love and in life - are put on the stand. And when cracks appear in the foundations of Sean's glamorous world, he is forced to question what price he has really paid for a seat at the establishment's table. A London-born screenwriter, playwright and author, Laline Paull made waves with her startlingly original debut novel The Bees which was chosen as a Waterstones Book Club title, longlisted for the Desmond Elliot Prize and shortlisted for the Baileys Women’s Prize for Fiction. 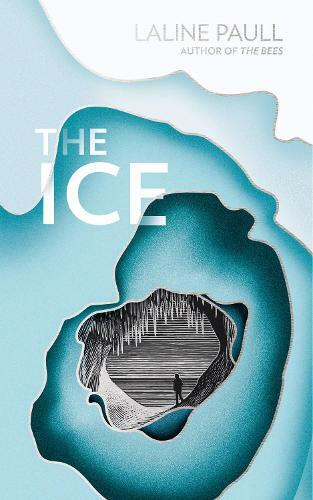 The Ice is her second novel.